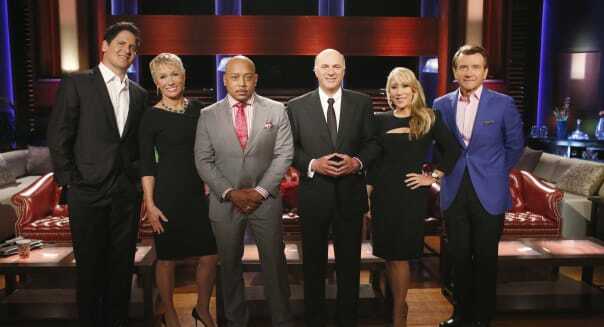 Kelsey McNeal/ABC/Getty ImagesThe sharks of "Shark Tank" are Mark Cuban, Barbara Corcoran, Daymond John, Kevin O'Leary, Lori Greiner and Robert Herjavec. ​Whether you love 'em or you hate 'em, the sharks of ABC's "Shark Tank" have earned their place as some of the most coveted investors and mentors for entrepreneurs. The sharks have all made their fortunes by building businesses from the ground up. And when an entrepreneur enters the shark tank, the sharks let loose with criticism, critiques and -- sometimes -- praise. "There's nothing like family to help motivate people when it comes to being smart with money. It makes sense -- you're more driven to save and invest when you know that your savings will help your kids and grandkids -- not just yourself. And you'll be more careful about big risks when you know that a bad decision can affect your family. "So, just as my mother taught me about money when I was young, I have done the same for my kids. "If you haven't done the same yet, get started this year. It's easier than you think -- start by talking about money in general, so it's not a taboo subject. Have some conversations about the importance of saving over the long term. We all feel a responsibility to our families and there's no reason that shouldn't include financial literacy." "Five days a week, I read my goals before I go to sleep and when I wake up. There are 10 goals around health, family and business with expiration dates, and I update them every six months. I believe the last thing I read at night will likely manifest when I'm sleeping. You become what you think about the most." "The most influential factor in selling a home is always price. Don't build 'wiggle room' into the asking price. There's a price war out there and you have to win it from the get-go. Shop the competition to see what similar homes are selling for and price your home 10 percent to 15 percent lower so it's the first house shown. Or you can get price estimates from three good brokers and go with the lowest. If you've overpriced your home, then make one big reduction. The worst thing you can do is make a series of small price reductions along the way -- it's the equivalent of chasing the tide as it rolls out." "First I pay off all my credit card debt and evaluate paying off any other debt I have. What I have left I put in the bank. %VIRTUAL-article-sponsoredlinks%"Then I try to create as much transactional value as possible from that cash. I look at my annual budgets for everything and anything, and I look to see where I can save the most money on those items. Saving 30 percent to 50 percent buying in bulk -- replenishable items from toothpaste to soup, or whatever I use a lot of -- is the best guaranteed return on investment you can get anywhere. Then whatever I have left, I keep in the bank and let it earn nothing. Why? Because then it's available for when I get a good opportunity." "Don't be afraid. Be confident in yourself and know that you can make anything happen if you put your mind to it, and I really believe that. I know the only failure in life is not trying. So be confident that you will make it happen no matter what. If you hit adversity, that's great –- learn from it, move around it, and go on." "I guess if I had to do it again, I would have dreamed bigger. I never dreamed I could build a $100 million company. I just happened to build a $1 million company that became a $5 million company, and so on. But I never dreamed bigger, because my dad worked in a factory, and my mom was a receptionist, and I didn't know anyone who had made a million, or anything at all like that." ​While we might not have the guts to swim with the sharks of "Shark Tank," we'll take any free advice from them we can get.